Out of stock since Tuesday, 11 December 2018. Due back soon. 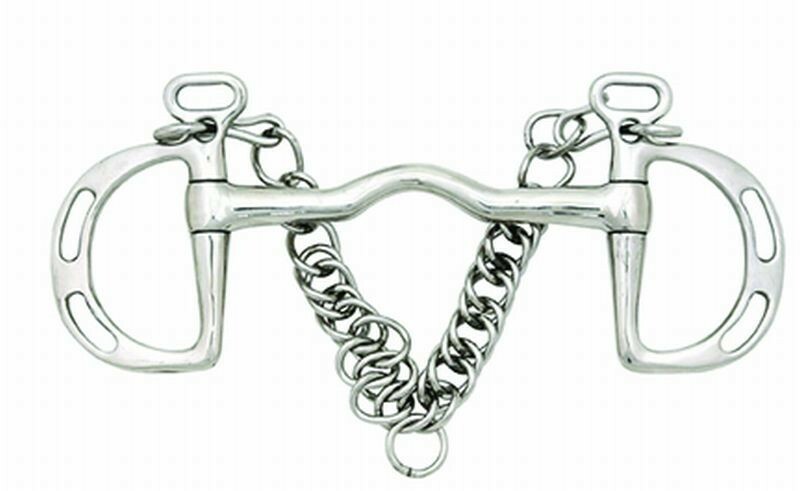 The Uxeter Slotted Kimblewick boasts 3 different positions for the reins; the top slot reduces curb action, the bottom slot maximizes curb action and the ring provides versatility. The low port of this design relieves the tongue, whilst giving little or no palette pressure. There are currently no questions for JHL Uxeter Slotted Kimblewick - be the first to ask one!